Thank you for buying our product! All of the products we make and sell are passed through strict inspection and we provide a top of the line customer service guarantee. To protect your rights and interests, please read the following service regulations carefully. 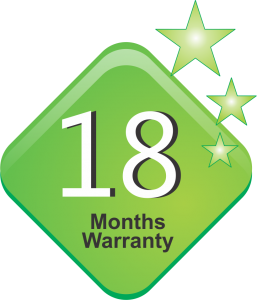 This product is covered under warranty for a period of 18 months from the date of retail purchase, by the original retail purchaser. Leaderinfogate warrants its products against defects in materials and workmanship as long as they are purchased in the original packaging, through authorized retailers. Any product’s functional failure or defect, limited to normal use and maintenance of the machine parts and materials, will be repaired or replaced free of charge, upon verification of authenticity. This warranty does not cover: (a) defects resulting from improper or unreasonable use, accident, earthquake or other external cause; (b) damage caused by service (including upgrades and expansions) performed by anyone who is not a representative of Leaderinfogate or a Leaderinfogate Authorized Service Provider (“RASP”); (c) defects caused by normal wear and tear or otherwise due to the normal aging of the Leaderinfogate Product; (d) failure to follow operating instructions; exposure to excess moisture, extreme heat or cold, or sun damage; (e) connections to improper voltage supply; (f) unauthorized alteration or modification of original condition; (g) any product that has had its serial number removed or defaced. Mail-in Service. If Leaderinfogate determines that your Leaderinfogate product is eligible for mail-in service, Leaderinfogate will send you prepaid waybills and if applicable, packaging material, so that you may ship your Leaderinfogate product to a RASP location in accordance with Leaderinfogate’s instructions. Once service is complete, the RASP location will return the Leaderinfogate product to you. Leaderinfogate will pay for shipping to and from your location if all instructions are followed. Leaderinfogate reserves the right to change both the method by which Leaderinfogate provides warranty service to you, and your Leaderinfogate product’s eligibility to receive a particular method of service. Service will be limited to the options available in the country where service is requested. Service options, parts availability and response times may vary according to country. You may be responsible for shipping and handling charges if the Leaderinfogate product cannot be serviced in the country where it is located. If you seek service in a country that is not the country of purchase, you will comply with all applicable import and export laws and regulations and be responsible for all custom duties, V.A.T. and other associated taxes and charges. For international service, Leaderinfogate may repair or replace products and parts with comparable products and parts that comply with local standards. Except as provided in this warranty and to the maximum extent permitted by law, Leaderinfogate is not responsible for direct, special, incidental or consequential damages resulting from any breach of warranty or condition, or under any other legal theory, including but not limited to loss of use; loss of revenue; loss of actual or anticipated profits (including loss of profits on contracts); loss of the use of money; loss of anticipated savings; loss of business; loss of opportunity; loss of goodwill; loss of reputation; loss of, damage to, compromise or corruption of data; or any indirect or consequential loss or damage however caused, including the replacement of equipment and property, any costs of recovering, programming, or reproducing any program or data stored in or used with the Leaderinfogate product or any failure to maintain the confidentiality of information stored in the Leaderinfogate product. The foregoing limitation shall not apply to death or personal injury claims, or any statutory liability for intentional and gross negligent acts and/or omissions. Leaderinfogate disclaims any representation that it will be able to repair any Leaderinfogate product under this warranty or replace the Leaderinfogate product without risk to or loss of information stored on the Leaderinfogate product. We are dedicated to providing the best service and support for our customers. If you have any questions or concerns about our products or services, please feel free to contact us at support@leaderinfogate.co.uk. Moreover, we always appreciate suggestions for updates or improvements to enhance the quality of our service.